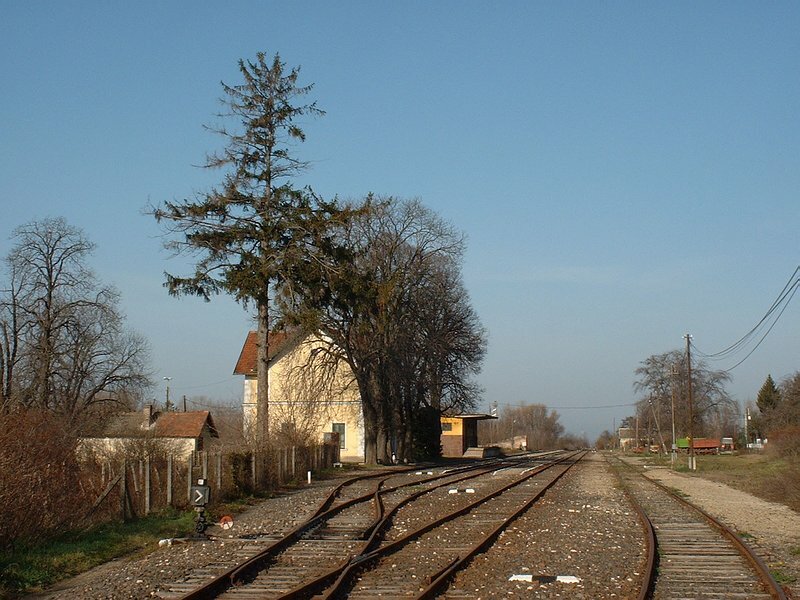 The idyllic station of Enying on the former branch line Lepsény-Dombóvár, Hungary. 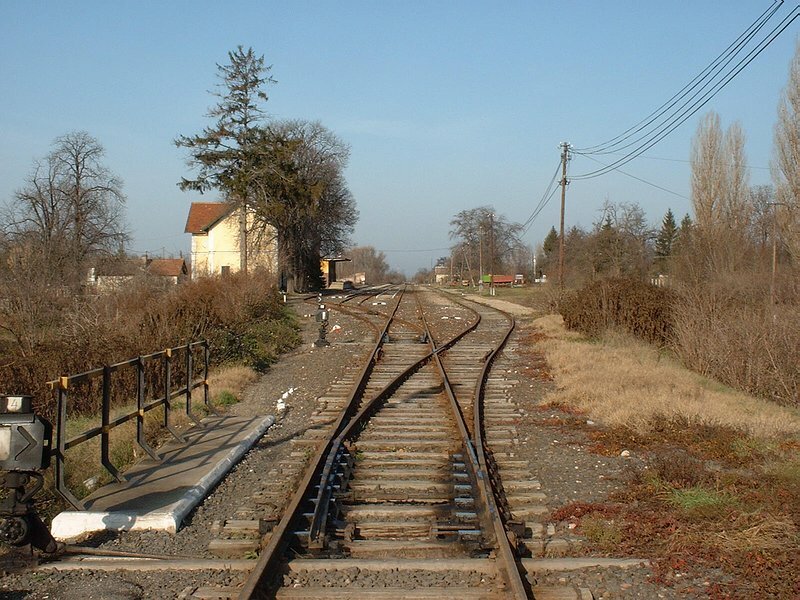 Since 1993 only on the Lepsény-Mezöhidvég section have tracks, but nowadays only with very poor freight traffic, no passenger service. 23.11.2003. 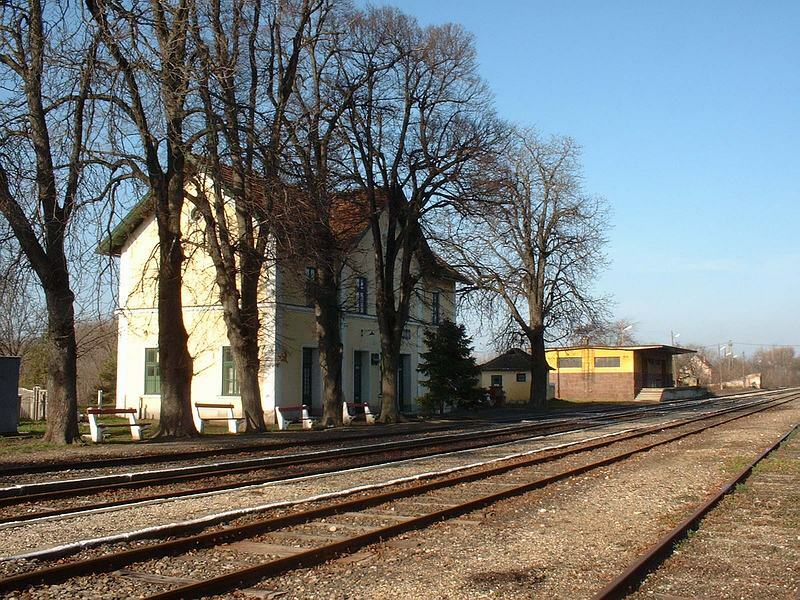 The idyllic station of Enying, Hungary. 23.11.2003. 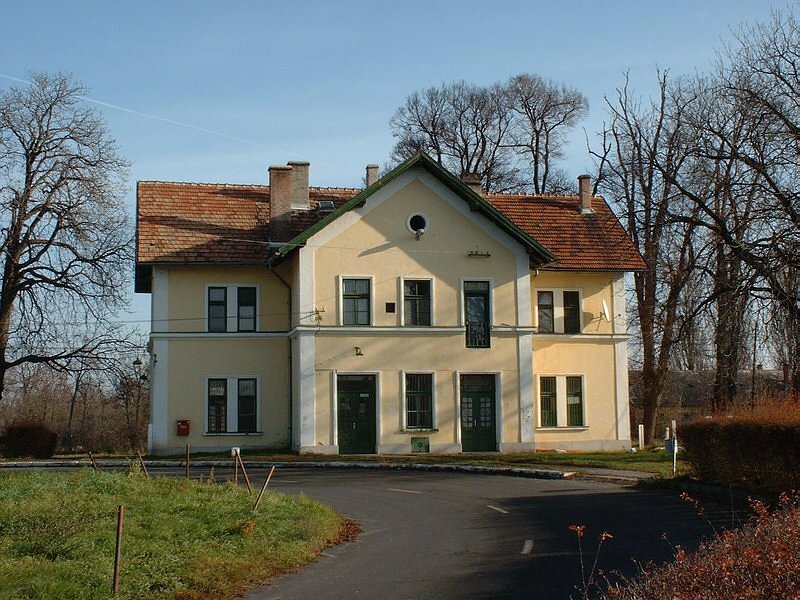 Station building at Enying, Hungary. 23.11.2003. 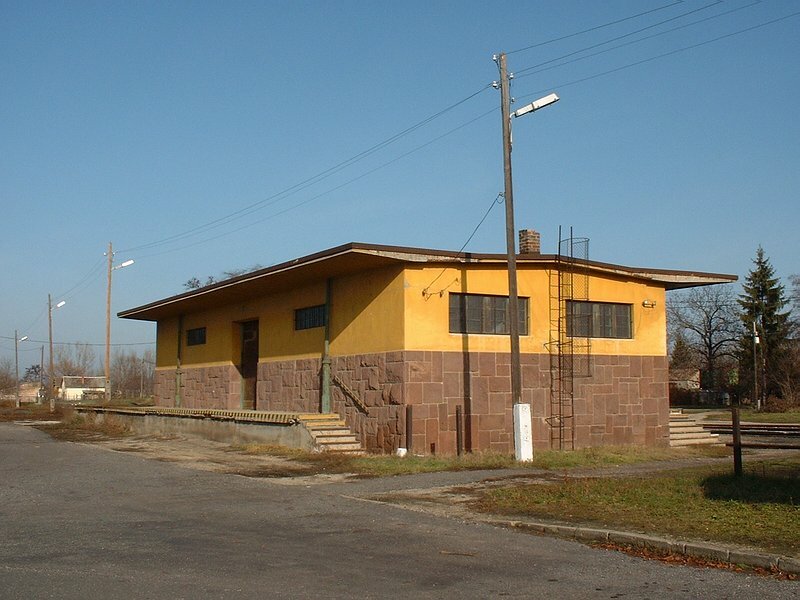 Storehouse on the station of Enying, Hungary. 23.11.2003.